Best source of info for climbing Mount Damavand. Specialist in mountain guided tours and ascends in Iran. Q- Do you think one day in Camp 1 will be OK for rest after flight? A- It all depends to your arrival time to Tehran and at what time do you arrive at Damavand First Camp ?! If it is early in the morning, one day rest could be enough. Q- I have checked the program and would like to ask, is it possible to go by walking from Damavand camp 1 to camp 2, how many hours would that take and if not too long can we go from camp 1 directly to camp 3 by walking in 1 day? A- The distance between Camp1 Polour to Camp2 Base is 17.7 Km (11.3 Km asphalt road + 6.4 Km gravel road). See Facts And Figures. It is not recommended because it could take about 3 to 5 hours to walk from camp1 to camp2. Q- We would like to walk from Camp 1 to Camp 2 on the second day? If your target is Damavand summit, we do not recommend wasting your time and energy at slopes. Visit also Facts and the distance between camps. Camp1 Polour to Camp2 Base distance 17.7 Km (11.3 Km asphalt road + 6.4 Km gravel road). Q- What is the distance from Gravel Road junction to Camp 1 Polour? Q-Can you help us to book the accommodation in Polour Hut? A- Unfortunately we can not help non-registered participants anymore. Q- We would like to trek as much as possible, do we have to go from camp1 to base camps with cars or can we trek? A- In summer season, you may also trek 17.7 Km without using cars, but it is not recommended. Q- How long will it take if we choose to only trek from camp1 to camp3 as opposed to take cars? A- It all depends to what is your final destination? Just trekking the mountain or going to the summit?! Q- I think we will go from camp1 to camp2 by foots for better acclimatisation. A- Please visit Facts And Figures. Camp1 Polour to Camp2 Base distance 17.7 Km, it is not recommended. Q- Would it be better to walk from camp 1 to 2 and to 3, rather than take a car? A- Please visit Facts. Camp1 Polour to Camp2 Base distance 17.7 Km, we do not recommend because we do not know about your team fitness and for sure your team will be very tired for the summit day. 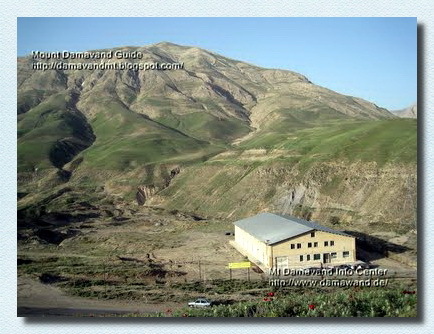 Q- We want to trek Damavand, so from the foot to the summit. Instead of driving to camp 1 and 2, we would like to trek. And continue trekking to summit. After we will descend and return to UAE. A- If you intend to climb to the summit, I believe you better to do some modification to this and your itinerary, because you are living at the sea level, to avoid AMS you need more acclimatization, and going to the peak without using the camps is very difficult for your team. Q- What is the distance from the airport to the base camp? A- Tehran IKA Airport to Camp1 Polour distance 133 Km, See more details in Facts And Figures. Useful links Damavand Info, Mount Damavand Guides, Damavand Weather. For registered travelers to Mt Damavand Iran in private tour packages, we try to book mountain camps and we do our best to support their accommodation with beds in private rooms on Damavand huts. Q- Can you help us to book the accommodation in Mt Damavand Camp1 Polour Hut? A- No problem for registered clients. We would do our best if possible, but can not guarantee during the crowded season. Unfortunately we can not help non-registered participants anymore. Useful links Damavand Iran, Damavand Trek, Damavand Hike. Current time: 26-04-2019, 08:56 AM Powered By MyBB, © 2002-2019 MyBB Group. Theme created by Justin S.